Welcome to another installment of If My Book, the Monkeybicycle feature in which authors shed light on their recently released books by comparing them to weird things. 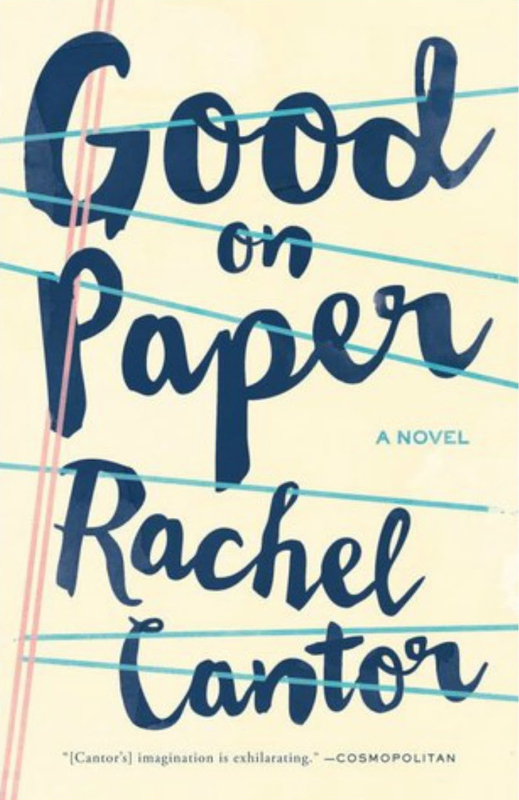 This week Rachel Cantor writes about her second novel, Good on Paper, just published by Melville House. If Good on Paper were your childhood friend, she’d be the one who wisecracked at the back of the classroom while taking everything in and wishing she could be one of the popular kids. If Good on Paper were your family pet, she would be the cat who alternately wants your attention and begs to be let outside, who eats your cut flowers and leaves headless presents in your loafers. If Good on Paper were someone at your Thanksgiving table, she would be the wry maiden aunt who dresses young and drops quiet wisdom after her third whiskey. If Good on Paper were a holiday, it would be one some people adore but not everyone knows about, like Arbor Day. If Good on Paper were a cartoon hero, it would be Bugs: sly, big hearted, and smarter than the average hunter. If Good on Paper were a Halloween costume, it would be glittery and fun, but also dark and serious; your friends would like it, but they wouldn’t know exactly what it was. 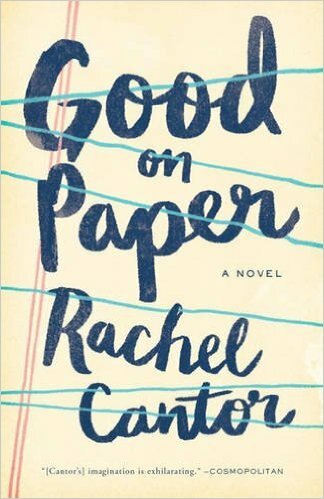 Rachel Cantor is the author of the novels Good on Paper (Melville House 2016) and A Highly Unlikely Scenario (Melville House 2014). Two dozen of her short stories have appeared in venues like The Paris Review, One Story, Ninth Letter, Fence, and Kenyon Review, and she has received fellowships from Yaddo, the MacDowell Colony, the Millay Colony, and elsewhere. She lives in Brooklyn, where she is always at work on another book. Find out more at rachelcantor.com or follow her on Twitter at @rachelcantor.